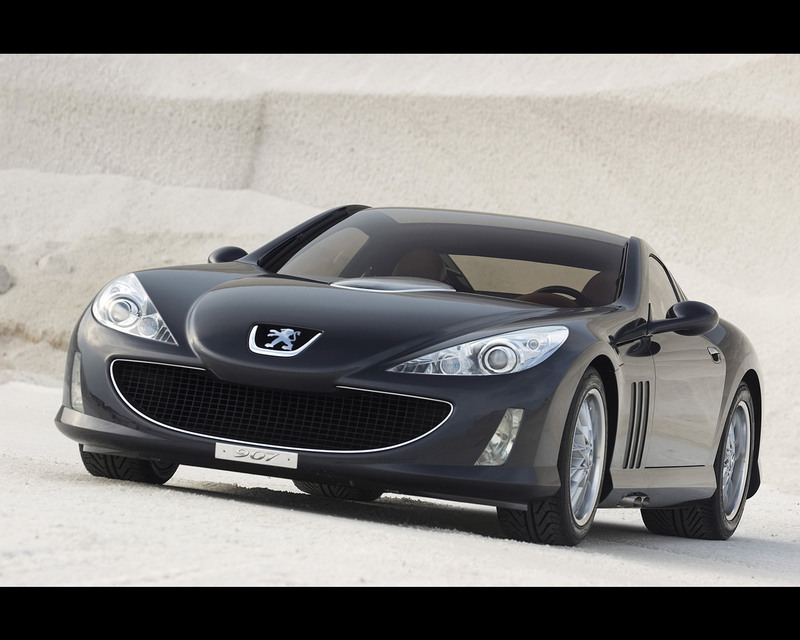 The Peugeot 907 Coupe V12 Concept Car was introduced in 2004. 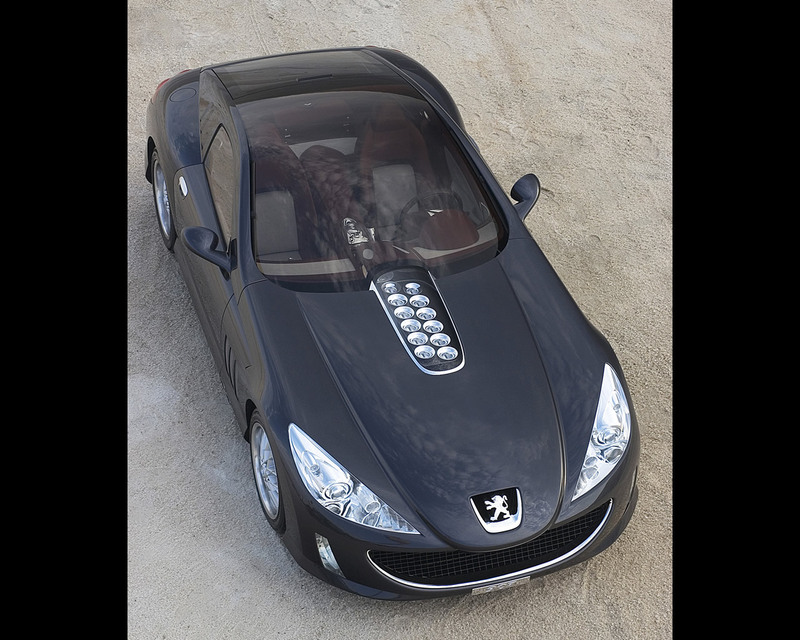 The Peugeot 907 is a two-seater coupé. 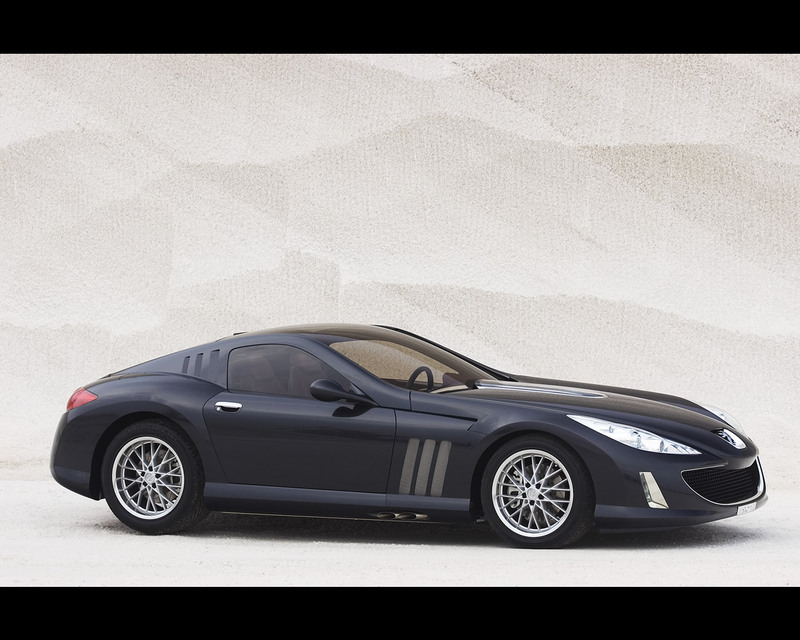 As in the time of great coachbuilders, this coupé embodies one of the finest engineering dreams of combining a large capacity engine within a classical shape, achieving a genuine synergy of advanced technology and motoring tradition. 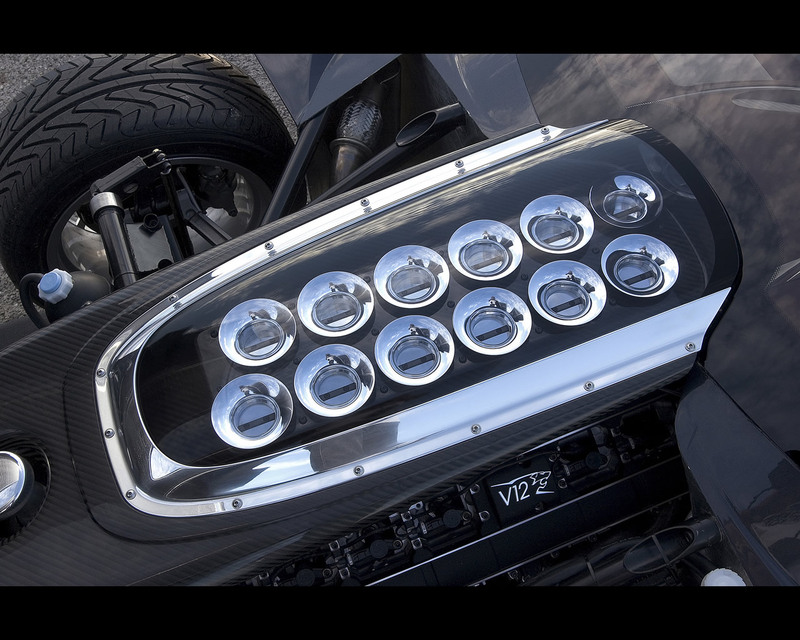 The 6.0 litre V12 engine (368 kW or 500 bhp) is positioned longitudinally behind the front axle, connected by a small propshaft, it transmits its power to a six-speed gearbox placed longitudinally in front of the rear axle. 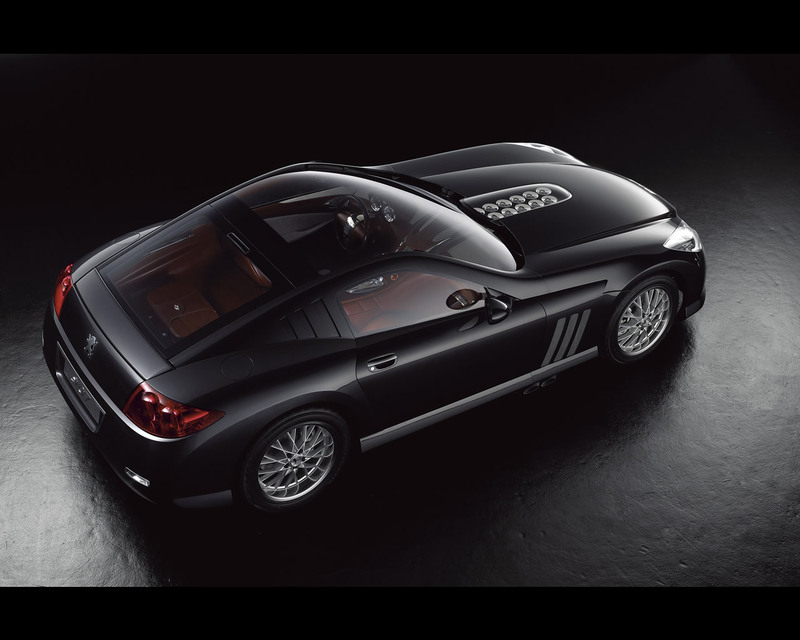 The wheelbase of this GT coupé is 2.50 m, its length 4.37 m, its width 1.88 m, while its height culminates at 1.21 m and its passenger compartment, designed to accomodate two people confortably, is situated just ahead of the rear axle to allow for a long bonnet. The kerb weight is 1.400 kg. The structure consists principally of a carbon fiber shell, to which the mechanical components, for example, the four double wishbone suspension units, are attached. Set into the bonnet, a glazed panel reveals twelve intake trumpets reminiscent of a fairground organ. 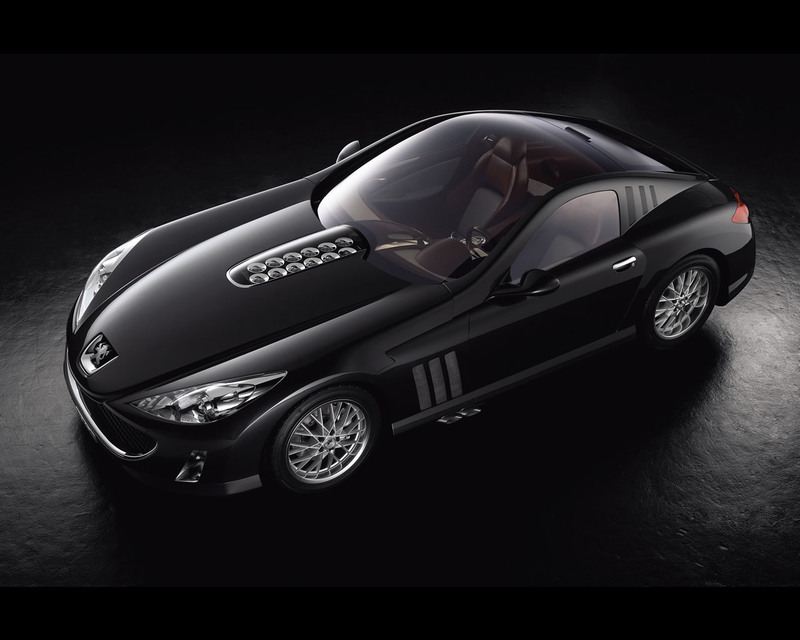 The roof and front windscreen form a single glazed area in harmony with the rear windscreen. Side vents are situated in the front wings and rear quarter panels, adjacent to the glazed roof, while retractable rear spoiler is incorporated in the tailgate. 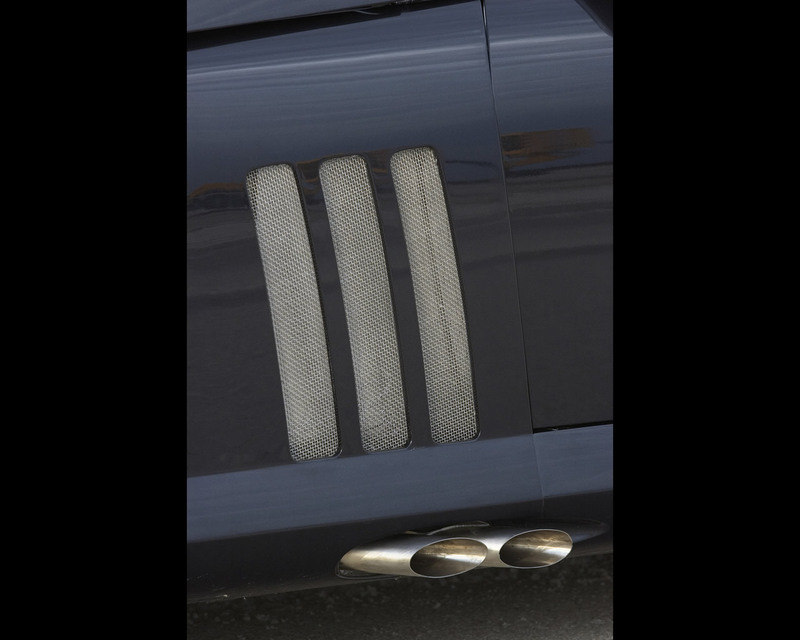 Two exhaust pipes emerge from either side of the car, which is equipped with 18" wheels and Michelin tyres, 275/40 at the front and 345/35 at the rear. The body is painted Molybdenum Grey. Brown leather and light grey alcantara trim is used to cover both the interior and the seats. 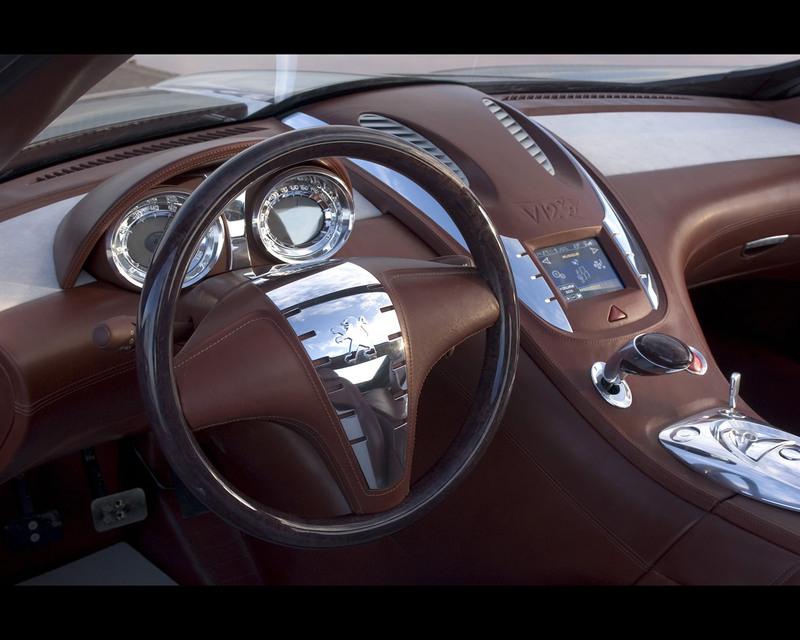 The steering wheel rim and the gear lever knob have authentic wood inlays. The instrument panel, although digital, is displayed in analogue style and the touch screen of the central console is connected to a PC (GPS, MP3 player etc.) A special area has been developed for storing luggages.